15 July 2011, seven pups were born. Four females and three males. 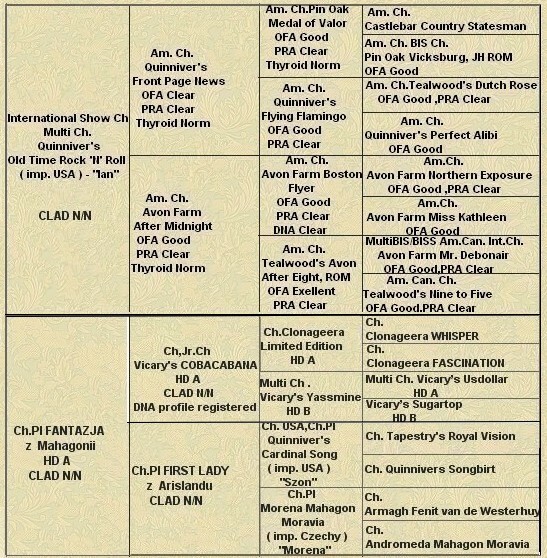 International Show Ch,Multi Ch . Quinniver's Old Time Rock 'N'Roll ( imp. USA ) - "Ian"